Tiny pebbles and stones are an easy material to obtain for crafts. Go for a long walk with the kids, and ask them to pick up the size and shape of stone that you desire, and watch them go! 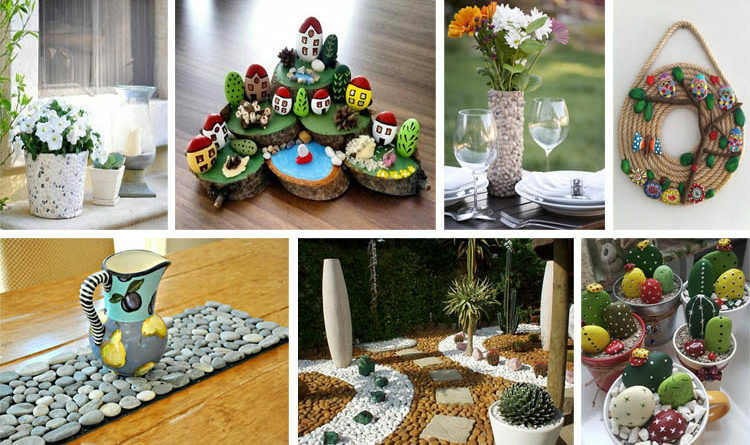 If you are looking for inspiration for spicing up your garden, here we show you some wonderful artistic pebbles projects for you. Stones are a natural gift by God. They are excellent for unique garden landscaping ideas. Creating a beautiful garden stones art isn’t difficult, you don’t need to be artistic, or even particularly creative. Am I kidding? No, that’s true and available! Try these fun and easy pebbles art projects, and we’re pretty sure your garden will be more attractive and beautiful. Have fun!